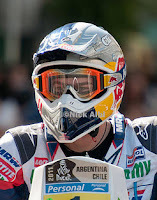 KTM factory rider Marc Coma captured his third Dakar Rally Championship on Saturday, January 15th, riding into Buenos Aires after a challenging 16-day race across Argentina and Chile, crossing the Andes and spending many days in the Atacama Desert. 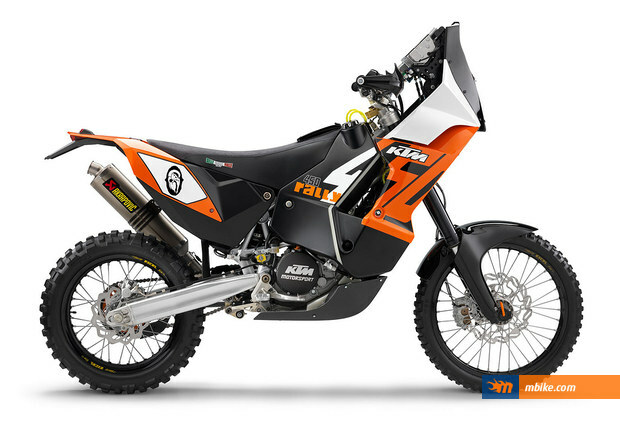 It was also a triumphant debut for the Australian KTM 450 rally bike that captured the 10th consecutive prize for KTM Motorsports. The engineers coupled the single-cylinder 4-stroke engine with a 5-speed gearbox. It has a dry weight of 330 lbs and features a 9.2 gallon fuel tank that straddles the frame. Cost: $41,200. The KTM brand has become synonymous with offroad racing and in particular the most challenging of annual rallies, The Dakar. Fellow KTM factory rider Cyril Despres, the title holder going into the Dakar, fought the good fight right up until the finish, was second overall. He trailed Coma by just over 15 minutes after 9600 km of competitive riding over the most challenging terrain possible. Considering that Despres incurred a 10-minute penalty in the early part of the race, he and Coma rode on equal terms throughout the 13 stages and frequently finished only minutes apart. Indeed in the penultimate stage there was only 37 second separating the two riders at the end of the day. Between them Coma and Despres took victory in eight of the 13 stages – Coma won five stages and Despres won three. With today’s victory, Coma draws equal with fellow KTM factory rider Cyril Despres as they now have three titles each and have together dominated rally sport in recent years.